Gooreads says, "Nora Grey's life is still far from perfect. Surviving an attempt on her life wasn’t pleasant, but at least she got a guardian angel out of it. But Patch has been acting anything but angelic lately. 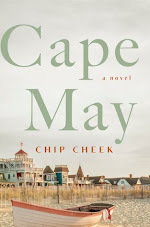 He’s more elusive than ever and, even worse, he’s started spending time with Nora’s arch-enemy, Marcie Millar. Nora would have hardly noticed Scott Parnell, an old family friend who’s moved back to town, if Patch hadn’t been acting so distant. Even with Scott’s totally infuriating attitude Nora finds herself drawn to him – despite her lingering feeling that he’s hiding something. Haunted by images of her murdered father, and questioning whether her Nephilim bloodlines has anything to do with his death, Nora puts herself increasingly dangerous situations as she searches for answers. But some things are better left buried, because the truth could destroy everything – and everyone – she trusts." Hush, Hush was one of my favorite reads of 2009, so I was very excited to read the sequel, Crescendo. Thankfully, I was not disappointed! It starts off with Nora Grey, surviving all of the horrific events in Hush, Hush, and Patch, who is now her guardian angel. She still has her feisty and spunky best friend, Vee and she still loathes her enemy and resident mean girl, Marcie Millar. As the story progresses, Patch starts to distance himself from Nora and she has no clue why. This puts a major strain on their relationship, not to mention how he is now hanging out with Marcie of all people. A childhood friend, Scott, reemerges and there is more than meets the eye to him. Nora also tries to get some answers surrounding her dad's murder and as she is on this quest for truth, learns a lot of upsetting details. So, needless to say, readers will learn more about Nora's past as well as her father. 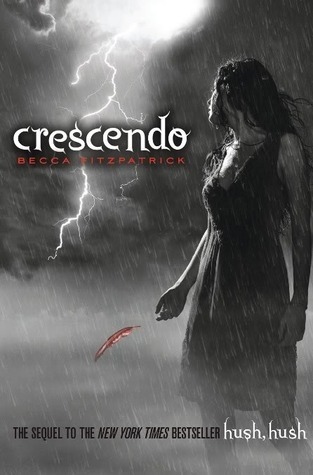 Becca Fitzpatrick's Crescendo is sure to please; fans of Hush, Hush won't be disappointed by this captivating sequel. One of my favorite things about this series is the character of Vee. She's Nora's determined and in-your-face side kick that really spices things up in the story. I like how dedicated both Nora and Vee are to their friendship; it's nice to see that in YA, which, as I'm sure you know, is filled with many mean girls. Speaking of mean girls, Marcie is back in full force and she is as insufferable as ever. It was hard to imagine Patch and Marcie hanging out, because Fitzpatrick does a really good job of getting her readers to hate Marcie and all of her crazy antics. Additionally, readers can really connect with Nora and her unsettling feelings surrounding her father's death; it's easy to sympathize with her. On the other hand, there is one character that I cannot stand and that is Nora's mom. She wins worst mom of the year award. Hands. Down. She's horrible. She's the epitome of an absent mom; I was so over her array of crap during this novel. One thing is for sure: Fitzpatrick is successful as she creates such a rich variety of interesting characters, including some new ones like Scott. Nora and Patch (the ultimate bad boy) have an up and down relationship that was hard to deal with at times in Crescendo. I got frustrated with them, because I just wanted these two characters to sit down and talk, but then I remembered she's a teenager and that's why things are blown out of proportion. But for fans of Patch, you won't be upset. He's still the elusive, dreamy Patch from Hush, Hush that most of us have learned to love. A lot of readers said they didn't like him because he's a jerk, but that, unfortunately, is what makes him a bad boy. My only problem with the novel is the fact that, like Hush, Hush, I found it a tad predictable at times and unbelievable at parts. Now this could be me, but I just wasn't buying a lot of the action scenes this time around or the fact that Nora can break and enter homes quite easily. Don't get me wrong, the action was incredible, but I felt it was unconvincing at parts. That's my only gripe and it won't stop me from stating that Crescendo will be on my list for Best Books of 2010. All in all, I found Crescendo to be entertaining and the ending??? Insane! I can't wait to find out what happens in the third and final book, Tempest, which comes out next October. Without a doubt, I will be pre-ordering it; plus, just like the other books in the series, I'm sure it will have an awe inspiring cover. It's good to hear Vee comes around. You're SO right about her mom! I completely agree with Nora's mom, who just leaves their child for days at a time with hardly a phone call? I struggled with the angst in this one a bit and wanted to repeatedly throttle Nora for the things she said to Patch, but I'm still really looking forward to book 3! The ending is totally INSANE!! I loved it though. I can't wait to read the next book already!! Juju- Thanks! I hope you enjoy it! Jenny- I know, right?? There was a lot of angst- you are right! Adriana- Vee can be annoying at times, but she def. cracks me up! Thanks for stopping by! Leanna- TOTALLY insane! I'm glad we both think it is 2010 Best Book list worthy! 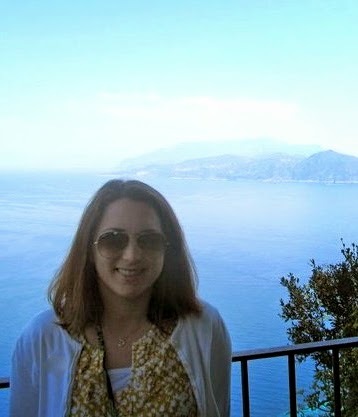 Corinne- Thanks! I can't wait either! Great review. I hadn't really thought much about believability issues, but now you mention it some of Nora's behaviour does seem out of character. However, I kind of liked the fact that she broke the rules a little this time round, so I guess that's why I barely noticed it!